So this time the reason for this ride was to get our dear friend Arun’s Royal Enfield DS from Palakkad to Bangalore. The distance from to Palakkad, Kerala from Bangalore is 400 km and is a comfortable overnight ride. Don’t know what was going on the mind Mr. Kamal and Mr. Arun Hilson, they planned a one day ride and give a shout to others if anyone would be interested to join. This is just days after I am back from the north India backpacking trip, but still ye dil mange more and I too got into the ride. Dear friend Anup Tudu Game ON. A quick concall on Friday afternoon and the ride to Palakkad is decided. 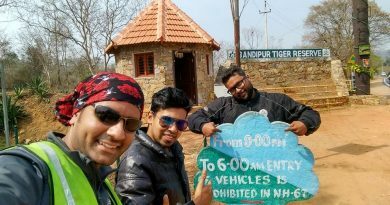 By evening our dear Gaurav bhaai joined in and we were 5 of us now planning an 800 km ride in one day. The bigger the group the longer it takes to cover distances on group rides, but still Tudu wanted more and somehow managed to include BR hills in this ride which is a detour. Lets see what happens the next day all of us we super charged for this. Around 1:00 AM one of us pinged in the watsapp group to check if anyone was awake and all of us were J Its sometimes difficult to sleep the night before long rides. And around 2 AM we see a message ‘I am in’ it was Mr. Solomon who just checked out of work and wants to join the 800km ride which is supposed to start at 5AM which is just a couple of hours from then. Seriously?? And then he packs up and comes to my place for the night by 3:00 AM. To reach the starting point which is the Electronic city NICE road toll would take a good 45 min and one hour passed in no time with our old stories around rides. So 4:00 AM we both start from our place on his bike as my bike was not in condition for that long distance. 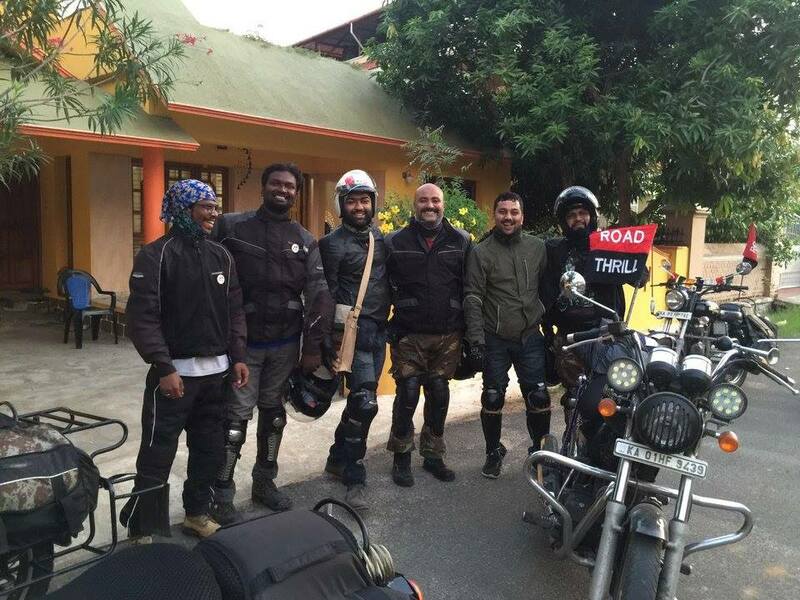 5:30 AM Electronic City Toll: 6 riders on 4 Royal Enfield bikes start the ride to Palakkad to get 1 bike home. Brotherhood at its peak? 😀 :D. The start of the ride was with full energy covering 100+ km in one stretch. Since it was a small group we are able to do good speeds of 100+ kph yet together as a pack. By the time of sunrise and the next 100 km me and Solomon bhaai were almost down and decided to break the ride for a while and take a quick power nap. Below are the scenes from the nap pit stop! Hardly covered 200 km and these were the scenes, yet another 600km to go. Wasted no time and we start again to reach BR Hills. The place is a beauty with curvy ghat roads and trees on either side a bit similar to the roads which lead to Devarayandura. 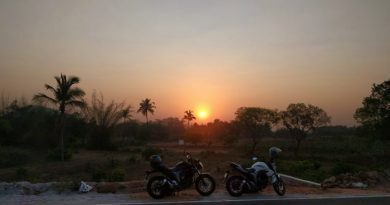 A perfect getaway for a day ride or an overnighter from Bangalore which also has a small patch of Off roading at the hills. Time was clicking and our plan was to reach Palakkad for lunch. 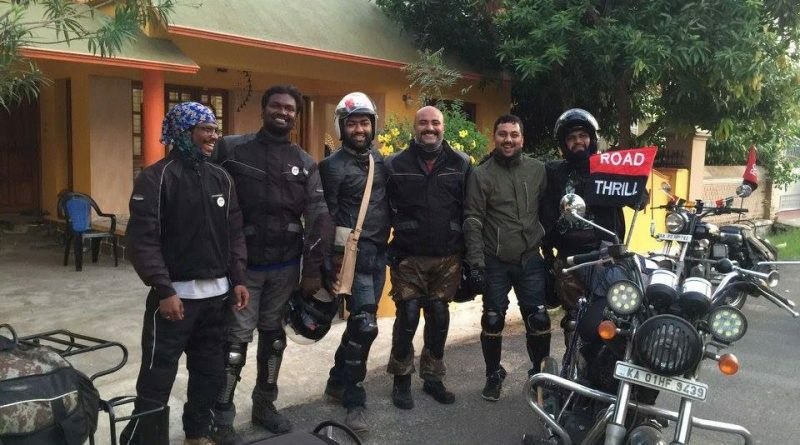 By now all of us were comfortable with the speeds and we were just cruising through Sathyamangalam forests. I remember this stretch when 6 of us rode to Talavady 3 years back on a romantic suspense thriller ride. 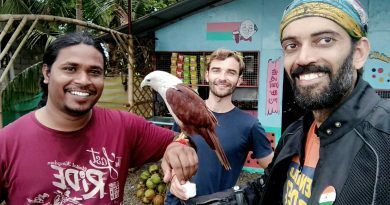 That story is under wraps till now and what happened on that ride stayed on that ride 😀 :P.
The next pitstop we charged up with some snacks and ice creams in that hot sun. Our dear Solomon bhaai on a nap again. Since the 350cc Royal Enfield electra was a bit struggling with the speeds that is the first bike to start after each pitstop and then the other bikes start and catchup as a pack. By the time we reached Palakkad it is 3:00 PM and in the waiting were some delicious Biryani, Kebabs, Fry and two AC rooms. Wow, what more you need after a 450 km ride on that sunny day. 6:00 PM we start our ride back from Palakkad along with Arun’s bike and he leading the group, the odo never went below 100 kph. With few pit stops and one break in search of some redbull to get wings, we reached Bangalore toll on the city outskirts by 1:00 AM. The return ride, it was just gripping and ripping since now the return ride is all on the 6/4 lane highways.